If you’re just starting Paleo, you’ve probably heard all of the above at some point, and if you’re confused, you’re not alone! The tricky part is that each one of those is true…for some people. So here’s a guide to the pros and cons of nut butters, plus all the different varieties to try if you decide they’re something to include in your own diet. First of all, a clarification: “nut butters” in the Paleo sense of the term doesn’t include peanut butter. Peanuts aren’t actually nuts; they’re legumes. So when people in the Paleo world talk about “nut butters,” they’re talking about almond butter, cashew butter, and other foods made from actual nuts. 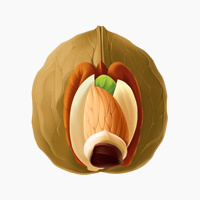 Contain important nutrients, depending on the nut (e.g. almond butter is rich in magnesium and Vitamin E). Low in sugar (unless you add it yourself, of course). Nuts can be gut irritants to people who are sensitive to them. Nut butters are not actually a “protein-rich” food. Their calories primarily come from fat, not protein. They don’t contain enough protein for a meal. Nut butters probably won’t put you over your carb goals unless you eat the whole jar or you’re aiming for very strict ketosis. All in all, nut butters are fine to eat in small amounts. 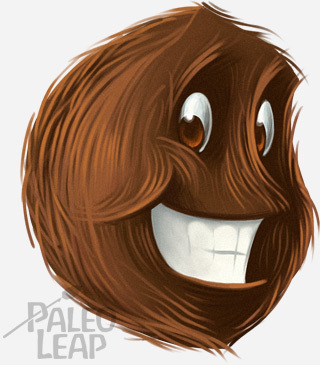 Eating nuts as a staple food isn’t within the spirit of Paleo, and that includes nut butters. But that brings us to the next problem: many people really struggle with the “small amounts” part. Why is it such common advice that nut butters stall weight loss, or that you should cut them out for faster loss? Mostly because they’re calorie-dense and extremely easy to unconsciously overeat. The creamy texture and the sweet-salty taste make them seductive “spoon treats” that you can keep going back to the kitchen to taste again…and again…and again…and that’s especially true if you have any kind of flavored nut butter! The lure of that jar in the cupboard can be almost irresistible. Counting calories doesn’t make sense as a nutritional strategy, but calories still do count – and the calories from constantly snacking on nut butter can quickly up. If you were only eating pre-portioned amounts of food that someone had measured out into a balanced meal plan and had no option to go back to the jar for more, then nut butters wouldn’t be a weight-loss problem. But in reality, people don’t eat like that. Snacking on nut butters without paying very careful attention to serving sizes adds up very fast, but it’s such a small physical portion of food that it doesn’t actually make you feel full. For a lot of people, nut butters are basically a one-way ticket to unintentionally overeating. This is a very individual issue. Some people have no problem at all keeping an open jar of cashew butter around the house for weeks – they barely think about it. For other people, if they bring the jar home, the entire jar will be gone by the next morning. The only answer is to know yourself. If you can eat nut butters with no problem, great! If you can’t, be honest with yourself and stop buying a food that makes you lose control around it – that’s not good for you psychologically or physically. That was the nutritional side, now it’s time for the fun stuff: the whole world of nut butters that aren’t made with peanuts. Here’s a run-down. Almond butter is probably the most popular, and the most widely available; in most supermarkets you can find it on the shelf next to the peanut butter. You can also buy luxury variations with cinnamon and sea salt, honey, or other mix-ins. Almond butter works particularly well as a replacement for peanut butter, either in Thai-inspired recipes or just as something to smear on your apple slices. Cashew butter is available at some specialty stores and online, or you can make it yourself (see below). It’s particularly notable for its use in dairy substitutes – especially frosting, like this “cream cheese” frosting (Swiss Paleo). Hazelnut butter is a less-common option, but also tasty, particularly for imitating a certain favorite chocolate-hazelnut spread. Coconut butter is a tasty alternative if you can’t or choose not to eat tree nuts. Macadamia nut butter is interesting because macadamias have the best fatty acid profile of any nuts. Unfortunately, macadamias are also some of the most expensive nuts around, so it can be pretty pricey. Coconut butter is a great alternative for people who are allergic to tree nuts or on an autoimmune protocol since, despite the name, coconuts aren’t actually in the same botanical family and people with tree nut allergies can often eat coconut products without an issue. Sunflower seed butter is another tasty alternative, and another great peanut butter replacement. It’s often available in stores because a lot of kids with peanut allergies eat it even if they aren’t Paleo. If you don’t have access to a specialty grocery store or want to save some money, you can also make DIY nut butters very easily with just a food processor. The basic recipe is extremely simple: put the nuts (or shredded coconut, for coconut butter) in a food processor and turn it on. Blend until you get a butter, stopping frequently to scrape down the sides. You can add salt, vanilla, cinnamon, other spices, cocoa powder, or anything else you’d like at the very end. Graham Cracker Nut Butter (The Healthy Foodie) – this recipe has a lot of pictures of what the food processor will look like as the nuts change into a butter, so it’s useful if you’re nervous about what to expect. Paleo Not-Ella (Chocolate Hazelnut Butter) (Civilized Caveman Cooking Creations) – yes, it’s a Nutella clone. There are a million recipes out there for homemade gourmet nut butters – just watch out for these since they’re even easier to overeat than the regular versions. Not everyone does well with nut butters. For some people, they’re just too hard to stop eating and it’s actually easier to get them out of the house for good. For other people, a spoonful of almond butter is the perfect addition to a quick snack, and some gourmet homemade nut butter hits the spot for a treat perfectly, and for those people, nut butters can be perfectly healthy and fine to eat. Know yourself; make food choices that are mentally and physically healthy for you. Nut butters are fine in small quantities as snacks or treats – if you can enjoy them that way, there’s nothing wrong with them. On the other hand, if you can’t get your fingers out of the cookie dough macadamia nut butter jar, maybe it’s better for you to abstain.